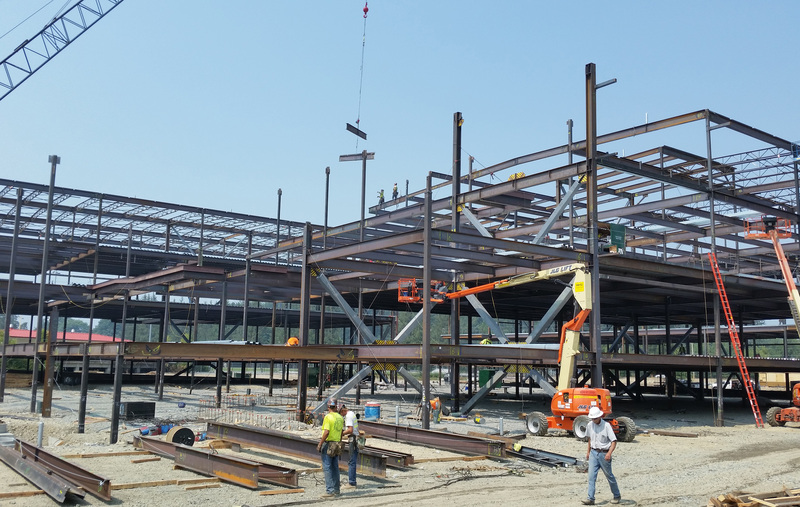 General Contractor Spee West has made impressive progress on the new high school this summer. 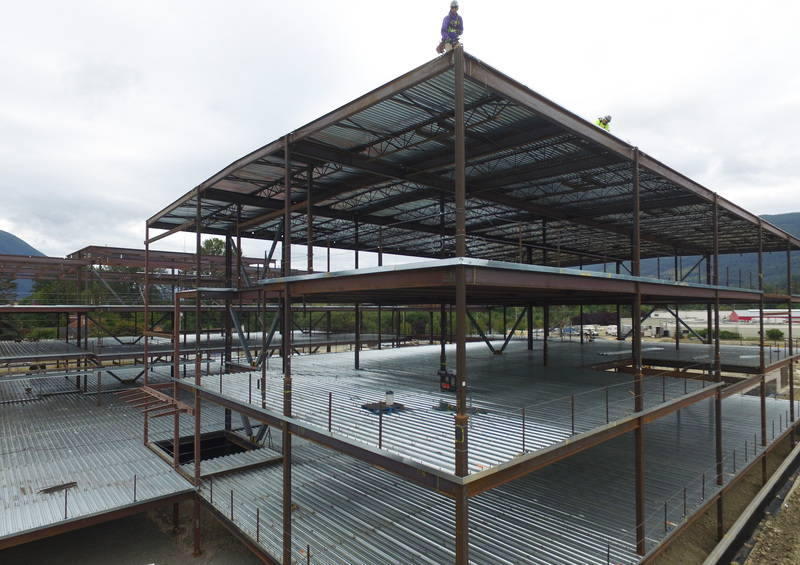 Installation of the steel framework is complete for Areas A and B (see site map below), which is approximately a third of the new building structure. Cement is beginning to be poured for the floors of those buildings and the roof structure is being constructed to allow for areas to be 'dry' during the winter months. 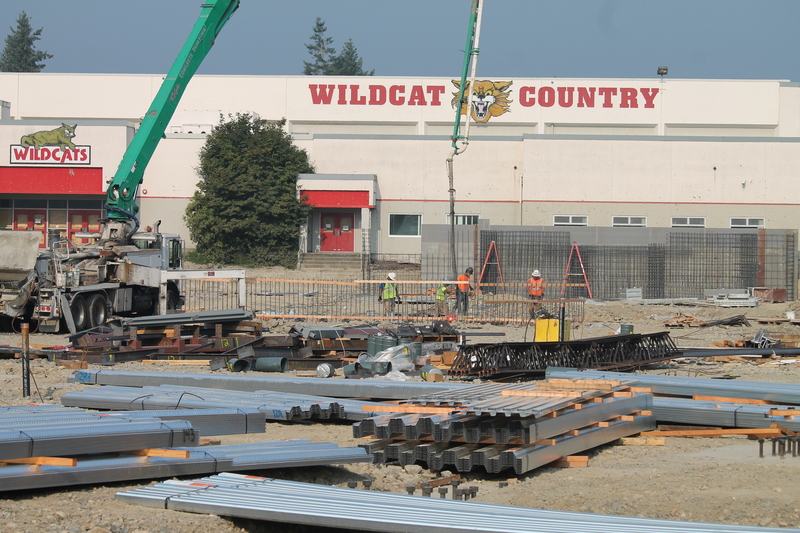 At the same time, the steel fabrication process is underway for Areas C, D, E and F. By mid-October, steel workers will return to the site to install the framework for these areas, adjacent to the school's former entrance. 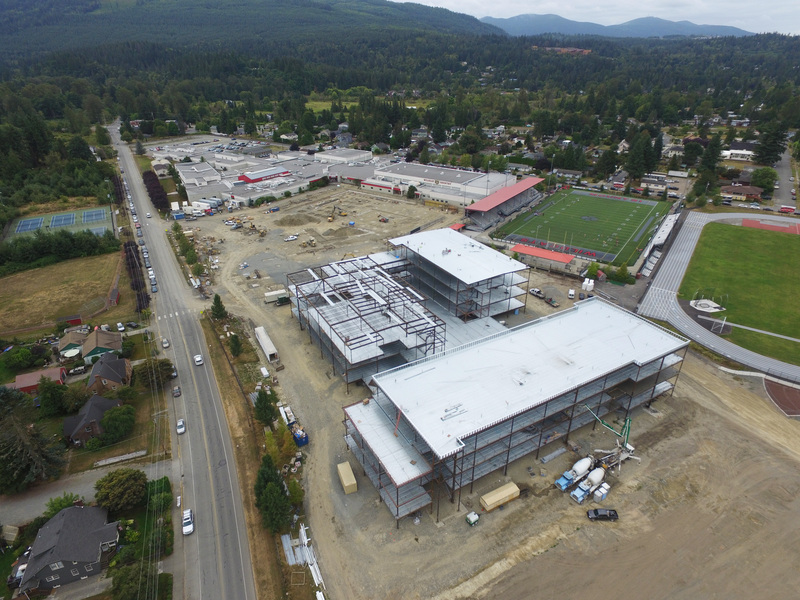 The Mount Si project remains on schedule. Read the August 2017 Status Report for photos and details from the Project Manager. 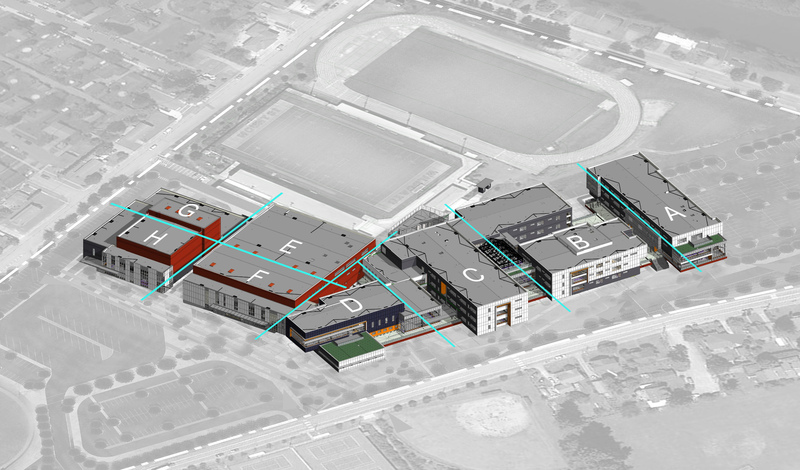 This rendering identifies Areas A through H, as designated for construction purposes. 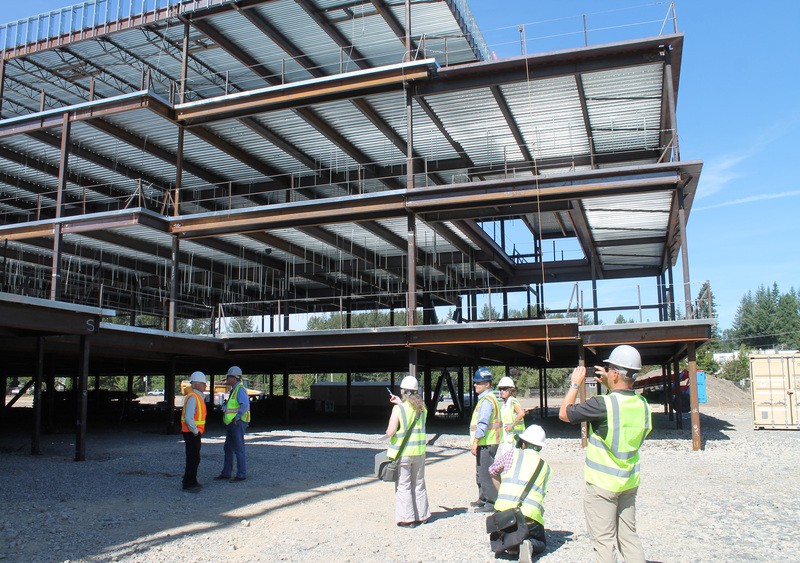 Building A will serve as the future Freshman Campus. 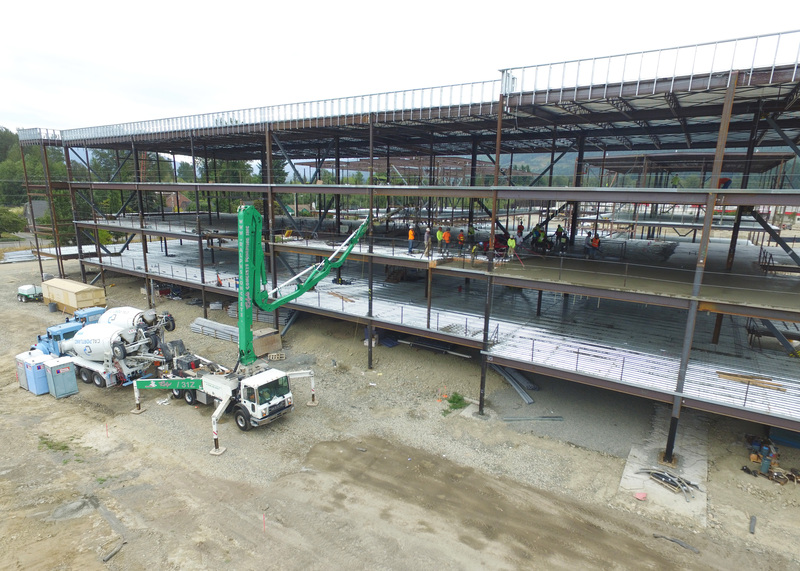 In the News... Read Going up: Mount Si High School project goes vertical; Framework for about a third of the new building is already up, published in the Snoqualmie Valley Record, August 31, 2017. Construction to begin construction of the building this summer. 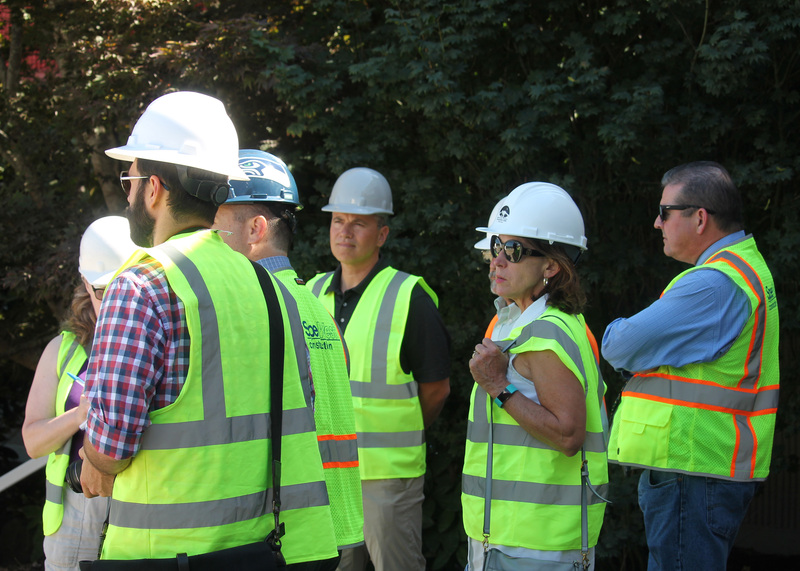 The estimated timeline for completion is the end of December 2017.
www.svsd410.org and click on the Facilities Planning and Construction icon for progress on bond projects. Thank you for supporting Snoqualmie Valley schools!